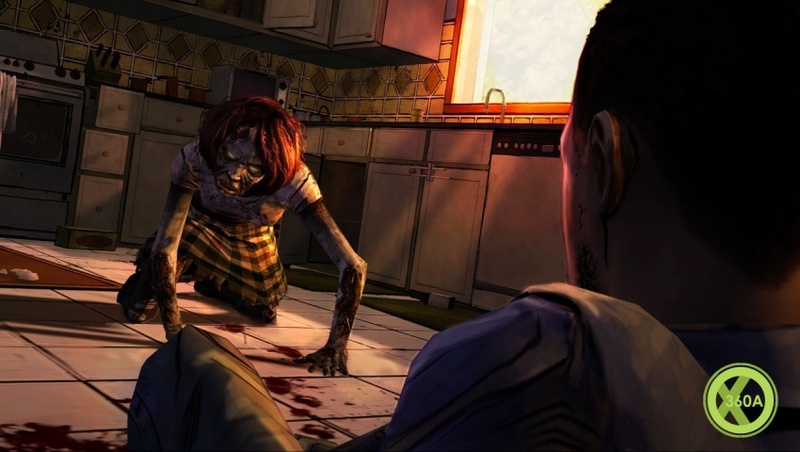 Based upon both the graphic novel series and the hit TV show, The Walking Dead game is coming to consoles courtesy of Telltale Games, and will tell the story of a new group of survivors who like hero Sheriff Rick Grimes, are striving to escape from the zombie terror in Atlanta and the surrounding communities. Taking place during the early days of the zombie apocalypse, you'll play through events that intersect with the graphic novels, meeting both new and familiar characters along the way. You'll be viewing the same things and going through a similar experience to Grimes as you make your escape, but from a different perspective. There's new screens and the first in a new series called 'Playing Dead' below, which aims to answer questions about Telltale Games' The Walking Dead. Check out the first instalment in the series that looks at what the game is, with the Lead Designers fielding the questions. don't know what to make of this yet. hopefully plays like a cross between L4D and older Resident evils rather than dead island. I'm still whimpering away in my want for a post-zombie-apocalyptic RPG survival-adventure game! Sadly I think this is another one that won't quite do it. They havn't announced if it's bound for 360 have they? It might be PC only. Is this a game about Rick Grimes, the hero of the comic books and TV show? • No. 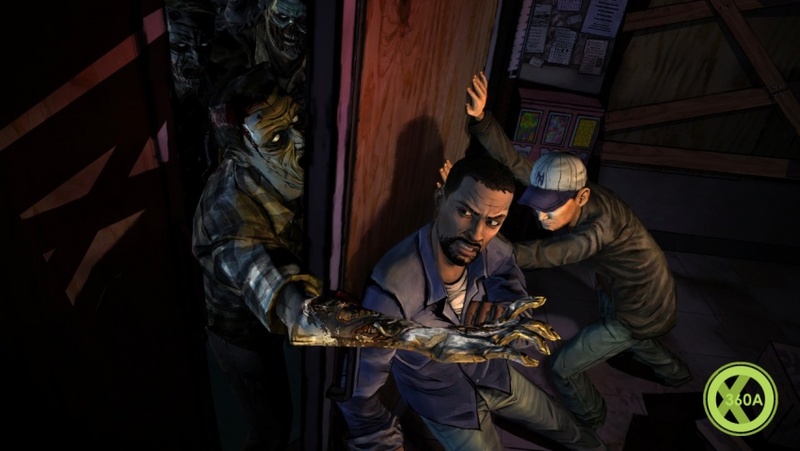 Robert Kirkman (creator of The Walking Dead) and Telltale felt that it would be more interesting to tell a story of a new group of survivors. When does this game take place in The Walking Dead timeline? • Our first episode takes place at the outset of the zombie apocalypse when Rick Grimes is still in a coma. Is this game based on the comic books or the TV show? • We see the comic books as canon. • You play the game as Lee Everett, a man convicted of a crime, but who is offered a chance at redemption…albeit in a world overtaken by walkers. You’ll only ever play as Lee and will see the world from his point of view. Will I see anything from the comic books or TV show in the game? • Yes. You will meet some characters and visit locations seen in the comic books. You’ll learn about characters and events that have an impact on events seen in the comics. For example, how did Hershel’s son Shawn end up in the barn? Find out in the game. Does this game use Quick Time Events as the major game-play dynamic and does it prevent the player from taking direct control of the player-character like Telltale’s Jurassic Park: The Game? • No. The Walking Dead offers a completely different game-play experience to Jurassic Park. 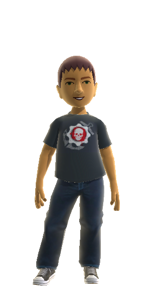 QTEs do not form a major part of game-play and you will have full control over your character as you move through the game’s environments. Why is this game episodic? What does that mean? • Telltale has a strong history of releasing episodic games but more importantly, we wanted this game to offer an experience analogous to the comic books and TV show, which are also episodic in nature. We have plans for 5 episodes, releasing once per month. • Skilled players will get through an episode on about 2 hours. Having episodes of this length means that most people will be able to get through them and we want that to happen. The game is not designed to present super-hard barriers and will not force you to grind through it in any way. We want you to complete an episode so that you’ll experience the story and be ready for the next episode. • The game series is digital, meaning that you won’t be able to buy it from a retail store. The game is coming to all major gaming platforms, so, as long as you have an internet connection, it’s almost certain that you’ll have access to the game. When will I see more screens and more importantly, when will I see the game in action? • Stay tuned for regular releases of screenshots and artwork. Every time an episode of Playing Dead goes out, you’ll see more new stuff (including the first ever look at Game-play!). Sign up on the website to be the first to find out about new episodes of Playing Dead and to get inside information on the game. When will episode one of the game be available? • We’re saying ‘Spring’, however, episode one is right around the corner. This thing is coming fast! • It’s an Adventure Horror game. This game will offer a different experience compared to many other zombie-based games. You won’t be mowing down hordes of the undead as a super-powered killing machine with unlimited ammo; that would not be an accurate recreation of Robert Kirkman’s world. When you do tangle with the undead, it’s going to be harrowing. That walker could be someone you once knew…or were very close to. Also, gunfire (or loud noises in general) are not good in areas where walkers could be lurking. Does this game feature multiplayer? • No. The Walking Dead is a single-player experience. Why does the game look the way it does? • We were inspired by the work of Charlie Adlard, artist for the comic books. Is there anything unique about this game versus other Telltale games? • Yes. For the first time, the decisions that the player makes will drive a “tailored” game-play experience. A decision that you make or something that you say will have repercussions not only in the episode that you’re playing, but also in future episodes of the game. Decisions will range from relatively innocuous (do I lie here and if so, how should I lie?) though to world-changing (I can only save one person here, who will it be?). Furthermore, you’ll come under pressure to make decisions quickly. You won’t be able to stand around deciding which option to choose during a conversation. The undead won’t stand by and politely let you figure out your next move. Telltale’s previous games have featured puzzle elements. Is that something we’ll see in The Walking Dead? • You’ll be challenged with problems for sure, but not classic ‘Adventure Game’ puzzles. You’re a survivor in a zombie apocalypse…you can imagine the problems that you’ll have to deal with. The Walking Dead is getting closer -- grab the shotgun! -- and is expected to be submitted for certification on XBLA and PSN this week, with a release soon after, Telltale CEO Dan Connors told Digital Trend at GDC. Connors expects the certification process to take about six weeks, with the launch soon after, placing it in late April or May. He didn't specify the launch process for other platforms, including PC. Telltale wants to capitalize on the "popularity" of the TV show, whose second season ends March 18, Digital Trend wrote. "Popularity" is of course a loaded term, but personally we've come to enjoy the show with a drinking game -- take a drink every time Lori is mad for a ridiculous reason; take two drinks every time an awkward silence lasts longer than four seconds; finish your drink every time someone shoots more bullets than their gun actually holds. That said, we're looking forward to Telltale's adaptation; either we'll finally get to enjoy the comic in a new form, or we'll have to buy some more beer. Telltale Games has released the debut trailer for its next episodic project, The Walking Dead, based on the popular TV show. Interestingly, Telltale asked animator Daniel Kanemoto to produce the trailer "because of a 'fan made' Walking Dead title sequence he had made" (see it here). 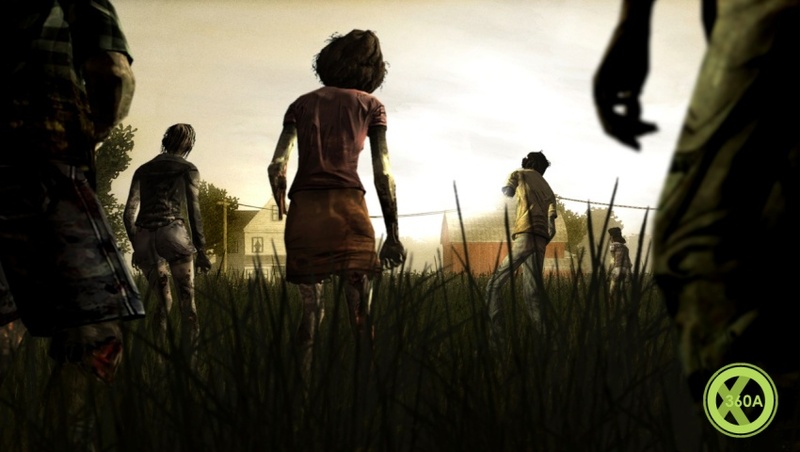 The Walking Dead game will be released as five separate episodes, the first of which will arrive on PlayStation Network and Xbox Live Arcade in 'late April' for $4.99/400 MS Points. Mac and PC players will be able to grab it from the Telltale Online Store for a $24.99 season pass. Those who pre-order via the online store will also get a chance to appear as a character in the fourth episode of the game, along with a 10 percent discount. The latest episode features a chat with Robert Kirkman regarding the comic books and why the game's story doesn't follow Deputy Sheriff Rick Grimes, instead following a new group of survivors in Atlanta. There's gameplay footage around the 7 minute mark and again towards the end of the vid. Interesting. Kind of a mix of Sam & Max and Silent Hill. I like slow-paced character/story driven games. Bonus, Mature rating confirmed at 14:22. That's a (brutal) relief.